Ahhhh I will never get sick of using my collab shade! 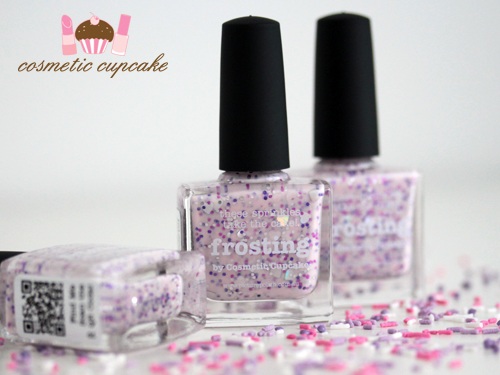 Frosting is a milky cupcake pink creme filled with small silver, violet and magenta hex glitters and in the mix are some silver hearts. I like to use 3 coats for full glitter coverage (which is pictured in my swatches here) however you could leave it at 2 coats for a softer, milkier look. I love wearing Frosting on it's own but I couldn't resist adding a bit of cupcake nail art since that was my inspiration for the polish! I used Frosting for the cupcake liner and added some white stripes using a striper brush. Then I used a dotting tool with a dark chocolate brown creme for the cupcake and added a silver heart rhinestone and some red bullions for the sprinkles. Details: piCture pOlish Frosting and other collaboration shades are available from the piCture pOlish online store and Network members for $12. I absolutely loved creating my collaboration shade Frosting and I hope you enjoyed having another look at it today!! Make sure you check out the other beautiful collab shades! You can see my original post about Frosting here. Beautiful as always! Such a pretty a delicate shade! 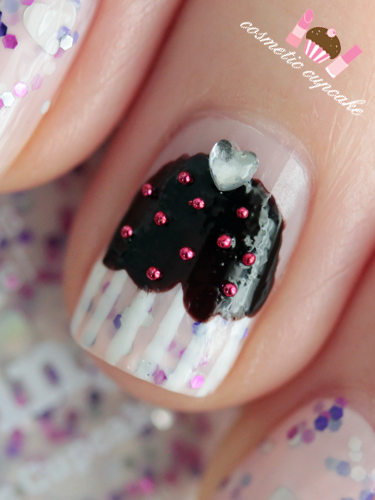 Love the cupcake nail art too! I absolutely love your frosting!!! Gorgeous! 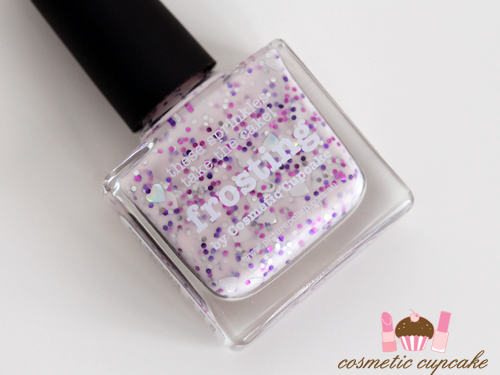 This is actually one of my favorite blogger collaboration shades. The little sprinkles are lovely! Very nice shade. The combination of the base colour and the glitter is very elegant.